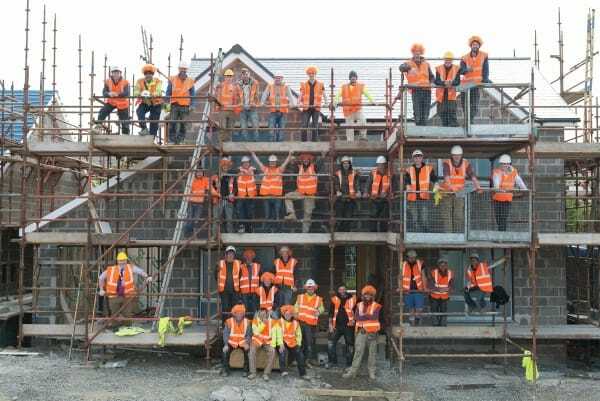 Hartford builders, office staff and managers joined other businesses, government departments, schools, sports clubs and individuals wearing orange wigs to work. When Hartford Homes found out there were no previous allergy patient support groups or allergy charities operating on the Isle of Man they nominated to support the Anaphylaxis Campaign, the only dedicated UK-wide charity operating solely for people at risk from severe allergic reactions and anaphylaxis. The great news is that ninety percent of the funds raised will be used locally to spread further awareness and pay for training in places such as schools and GP’s where it will help to assist the best practices are used to help save lives and keep the growing numbers of people with life-threatening allergies and anaphylaxis safe. Anaphylaxis is the most severe form of allergic reaction and can be life threatening. The wholebody is affected, often within minutes, but sometimes within hours, of exposure to a substancewhich causes an allergic reaction (allergen). Any allergic reaction, including the most extreme form, anaphylactic shock, occurs because the body's immune system reacts inappropriately in response to the presence of a substance that itwrongly perceives as a threat. Local allergy knowledge and information on upcoming events can be found on the group’s Facebook page facebook.com/allergysupportiom. More information, advice and support is available from the Anaphylaxis Campaign website.